These are few keys when preparing to succeed. Some outcomes are favorable, some are not. But it is a matter of not giving up, not losing hope, and complete trust in our Lord. 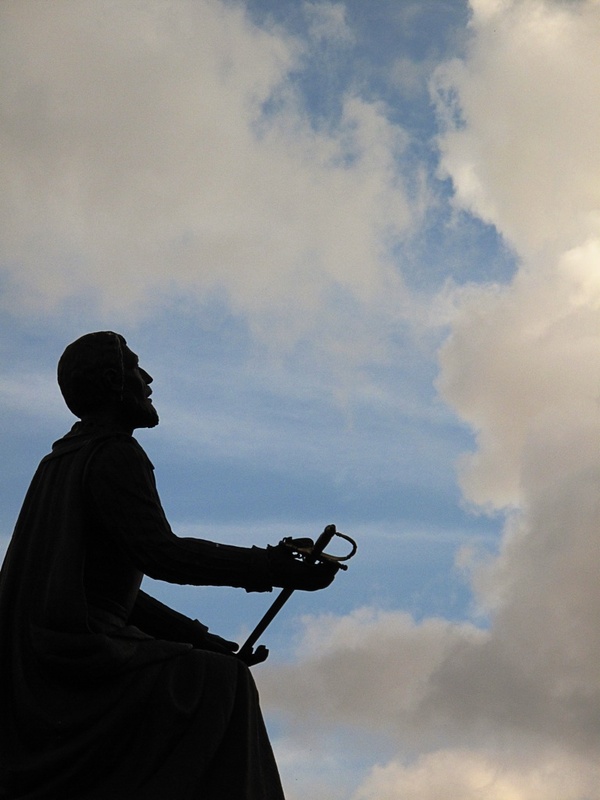 "May we, like St. Augustine, take our restlessness as God's pressing call to receive His love!" I can be a soldier in my own way. I am a sinner everyday. I hope to be a saint someday. I consider myself as a "reactor." I tend to get emotional to whatever happens to me. And then later on realized that I could have been more calm. I always tend to have emotions to circumstances that surprise me. Be it when I saw a long-time friend, or when I am excited about something. Even when I lost something, my blood hypes easily. There is this uncontrolled temper when I am looking for something especially if I need it that very moment. But eventually, I get to find those missing things. If I think about it more, there were lessons learned when we lose some things. One important thing is patience. I believe that being patient contributes to us being rational. When we lose some thing, we must breathe in and breathe out in order to not reach our panic stage. Regardless of how important that missing thing is. We must keep our composure and not do anything reckless that we might regret for the rest of our lives. That can be a bit exaggerating for some. The thing is, we must think of it as there are things in life that we must get rid off and better things will fill the void. 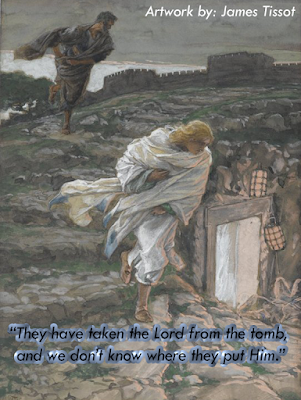 Similarly, when the tomb was empty, there was a better thing that happened. Christ has risen! As we enter the Easter Season of our Liturgical Year, let us remove our bad habits and replace those with the Resurrected Christ in our hearts. We were raised and educated at home and in school to not point our index fingers at others. Until recently, I never felt so annoyed seeing people pointed their index fingers at me. There were four people who had their fingers pointed at me. And I never experienced it in my entire csa, dlsu, lst, and ecopy life. I also find that weird though. Weird that I never get to experienced point their fingers at me. I am a bit shocked that there are really people who do it. 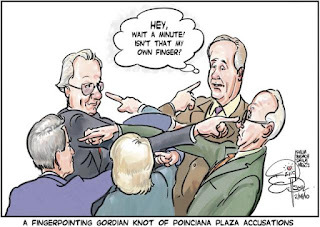 Didn't they learn that it is unethical to point at a person? But one professor said that we should not feel irritated. If a person is pointing at us, technically there are 2 fingers pointed at us and the three fingers point back at the person. Similarly to our Gospel for today. We must not be easy to blame others for mistakes because it could be that we are equally responsible. And like our pointing fingers, it may also happen that we are more responsible for the mishaps. The Gospel teaches us to be humble under all circumstances. Humble in such a way that we realize our own mistakes and not doing inappropriate and excessive self-blame.